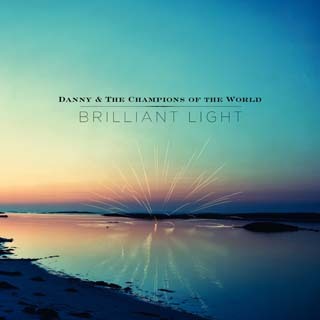 Brilliant Light by Danny and the Champions of the World – Album Review. Paul Howard is thrilled by the Champs' double CD magnum opus. After becoming a leading figure in the UK Americana scene with Grand Drive, singer/songwriter/guitarist Danny Wilson formed Danny and the Champions of the World in 2008 with a group of accomplished musicians. Critical acclaim, compelling live gigs and a global following have led to this new album, their 6th. It’s a stew of rock, Stax-flavoured soul, folk and alt.country, comprising 18 tracks on a double CD. This is their best yet, a real band album, without fluff or filler despite the length. No longer do they stray into the occasional Springsteen-pastiches that marred some of their earlier releases. Instead, they create a seamless fusion that is very much their own even if you spot all the classic retro influences. With great Big Band production values too, this is mature and sophisticated stuff. New listeners should start here, existing fans will consider it their masterpiece. The upcoming autumn tour should be a cracker.